Display color red appears in the very elegant form of this one. 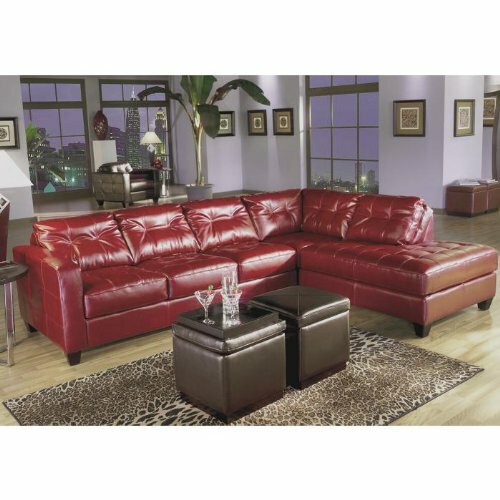 Covered Sofa entire surface with 100% bicast skin, the Allston livingroom makes quite a statement fashion. Contemporary design meets durability quality thick leather in red. Bersekat equipped with a sinuous S-Spring construction for no-sag seat, and two tufted stitch detail. Versatile rolling storage ottomans covered in deep brown leather bicast complete the dynamic look.